Indian football’s history can be traced back to the pre-independent period when the British people introduced the game to this sub-continent. In initial stages, football matches were played between army teams. But as the game started to gain popularity, several football clubs emerged with a lot of dreams, with immense prospect. In fact, you would be surprised to know that these clubs even pre-date the most renowned clubs and organisations of football, such as FIFA. In India, the first football match was organised between ‘Calcutta Club of Civilians’ and the ‘Gentlemen of Barrackpore’, in 1854. The first football club of India, named ‘Calcutta FC’, was founded in 1872. Dalhousie Club, Traders Club and Naval Volunteers Club also took the centre stage in the following years. Calcutta (the present-day Kolkata) is regarded as the home of football in India. This is perhaps the reason why a number of football clubs originated from the state of Bengal, including Mohun Bagan Athletic Club (later named as the National Club of India), which came into existence in 1889 along with their arch rivals East Bengal. After a few years, the Indian Football Association (IFA) came into existence, the year was 1893. Five years later, the oldest football tournament in India, (the third oldest in the world) started in Shimla. Known as the Durand Cup, the tournament was named after the then Foreign Secretary of India – Sir Mortimer Durand, who inaugurated the competition. Indian footballers tasted their first victory in 1911 when Mohun Bagan Club won the IFA-Shield Trophy and this triumph has sealed a special place in the history of football in India. The trophy was previously won by the British clubs based in India. Subsequently, the number of football clubs in India increased, which then led to the formation of the All India Football Federation (AIFF) in 1937. In 1948, the AIFF was rewarded with FIFA affiliation, it marked the start of a new journey. In 1954, AIFF became one of the founder members of the Asian Football Confederation (AFC). We have to specially mention the period stretching from 1951 to 1962, because it’s still reckoned as the golden era in the history of Indian football. 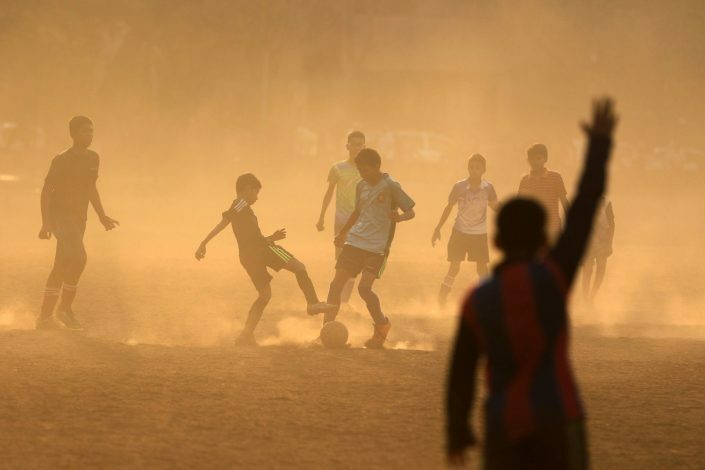 As the Indian football clubs began to produce commendable performances year after year, they qualified for a number of international competitions and competed overseas. The Indian footballers even brought laurels to the country, by winning gold in the 1951 and 1962 Asian Games held at New Delhi and Jakarta, respectively. India put on another record in 1956 when they became the first Asian country to make it to the Olympic football semi-finals at Melbourne Games.